Singapore Freebies: McDonald's Save More To Play More Coupons: Enjoy Discount Up To 50%!! 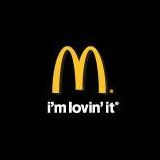 McDonald's Save More To Play More Coupons: Enjoy Discount Up To 50%!! to staff at any McDonald’s counter. Valid in Singapore from 30 May till 30 June 2013. Coupon cannot be used with any other offers. All featured items are as indicated, and are non-exchangeable, while stocks last.